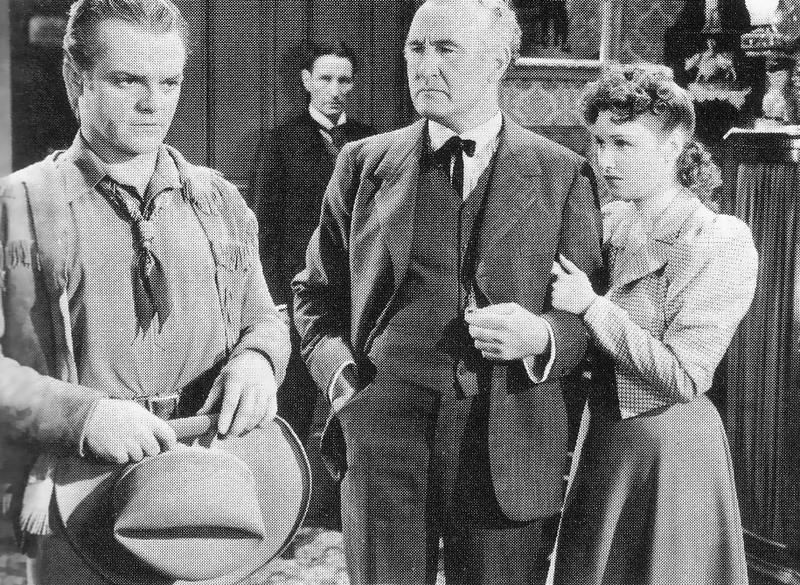 Warner's crafted this large scale Western specifically film for Cagney to show off his energetic acting style, in a Genre he hadn't been seen in before. 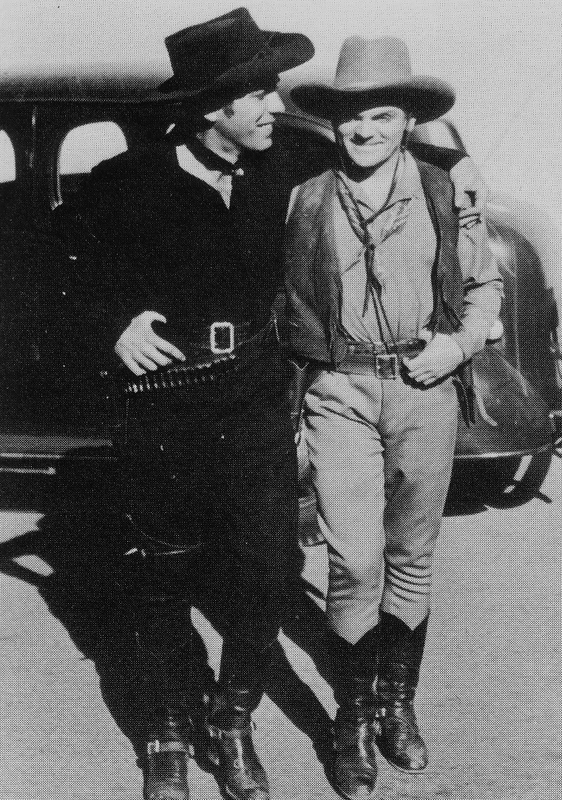 The cast included Humphrey Bogart as the villain in black named Whip McCord and Rosemary Lane. 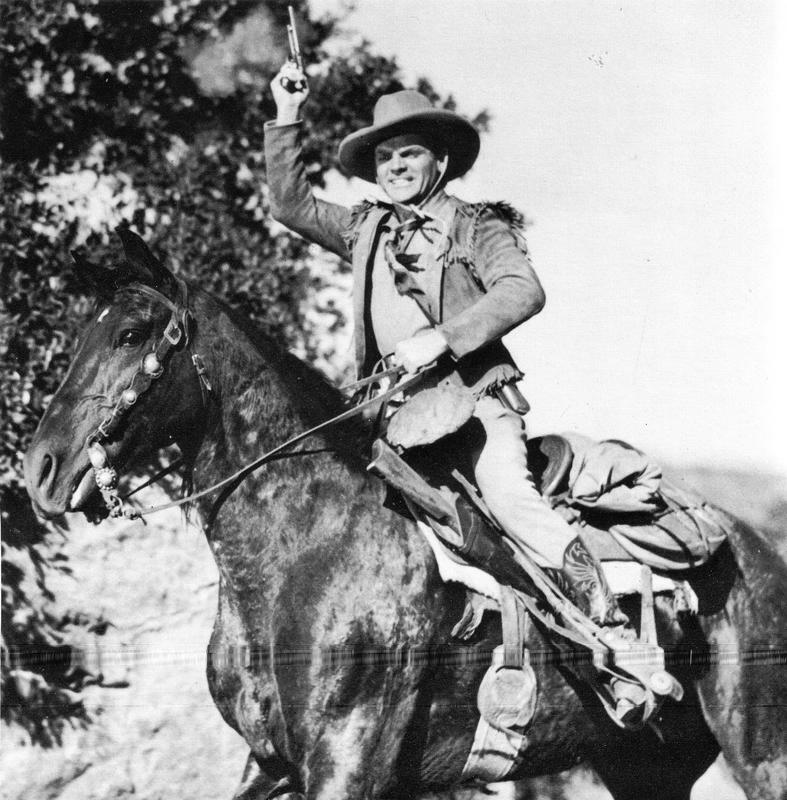 The film was action packed from beginning to end and featured a rousing score by Max Steiner.
" 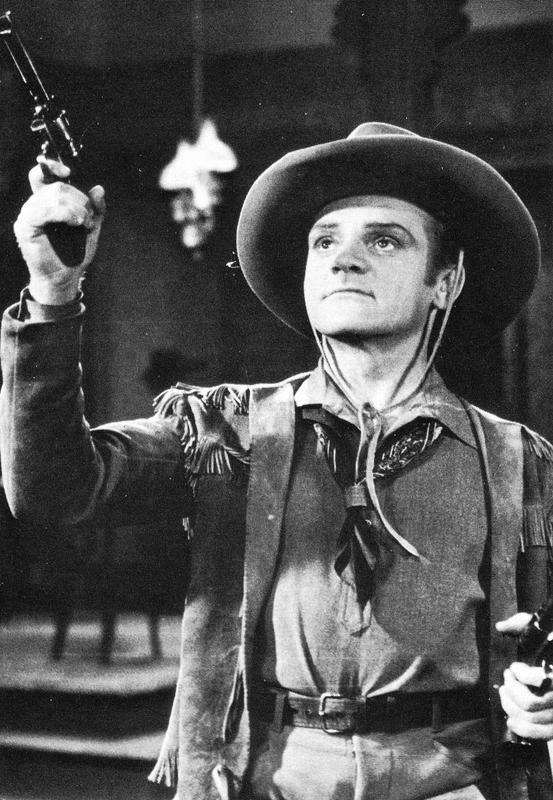 The redoubtable James Cagney has put on a ten gallon hat,spurs and shooting irons in the Oklahoma kid and has amply earned the right to wear them. 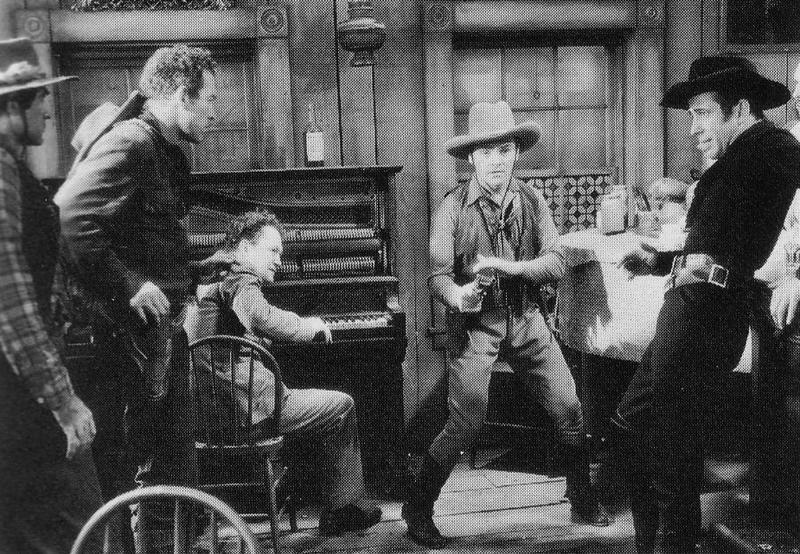 He has neither the accent nor the lingo for a hard riding, rough and tumble western, but he succeeds in giving such a dynamic portrayal that the picture has continual suspense and excitement... His performance can only be described as a tour de force.... Of the supporting cast Humphrey Bogart takes the chief honors".